The portal allows for pre-approved vendors to be positioned via a common set of procurement categories and criteria for government customers to asses their offerings and fast-track purchasing. As more government departments fully embrace cloud and IoT, this is an ideal place for Reekoh to showcase its unique offering of IoT, enterprise data and business application integrations. Bringing IoT data into enterprise application and business process design means that customers can now drive more data-driven, automated and intelligent operations. 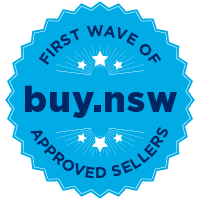 Reekoh’s award-winning platform is perfectly suited to Buy.NSW’s government audience and is looking forward to seeing greater levels of engagement and faster procurement though this Australian-first initiative.